Ch3 23 – My Hero! Lark acts as if he doesn’t even care about the immense amount of collateral damage that has occurred. One could surmise that this might be because his ego needs massaging, or one may convince themselves that perhaps he has seen enough destruction in his life that it’s become just an endless cycle. Or, you know, he’s just unobservant. No Lark and Hasera review this week. Sadly, there was a slight manufacturing defect in the Surface Alli has purchased two years ago. A pin-point fracture in the glass of the touch screen of Alli’s Surface that could not be seen by the naked eye has completely cracked the Surface’s, well, surface. We’re sending it in to the shop so we won’t lose any time between updates, but it’s a hefty bill (600$) out of nowhere for a product that isn’t even three years old yet( We paid 900$ for the bloody thing!). Such Pose. Much Heroic. Wow. And Hasera does look good in purple 🙂 I hope it is difficult to wash out. Yeah, purple does looks good on her. However, I bet she would be upset if it stained her clothes. People seem to prefer their clothes to stay the color that they picked out. Wait. It is covering her entire body including her lips. Ugh, that must taste awful. Or maybe it tastes of grape! I’m suddenly realizing that Lark has covered certain details of his “condition” through the more traditional types of Guardians who WOULD have cast such spells in those situations, and thus wouldn’t have thought anything of him emerging in perfect condition. Hass in her own unique situation is going to be the only one to even suspect something’s up to look into and figure out! Fun, this should be entertaining to watch play out. Best of luck to you guys on getting the screen fixed! 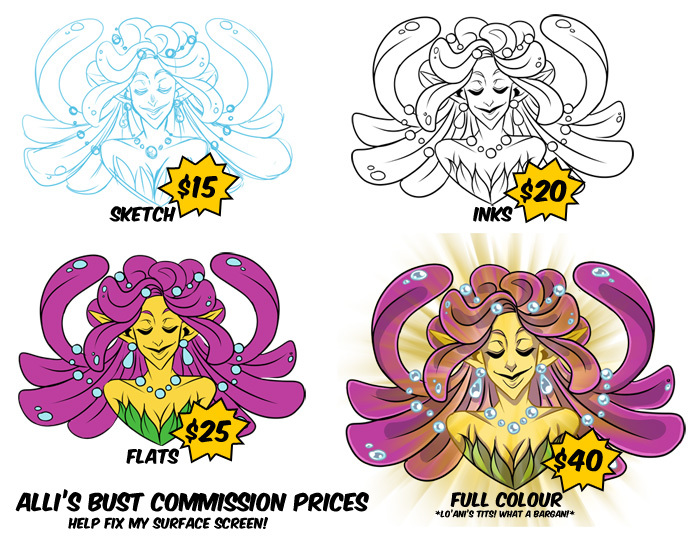 I can’t afford a commission, what if someone wants to just toss you like $3-5 as a donation to help out? I could swing that. *Taps nose twice at Kaela* The incompetent Guardian is the only one to see the truth. So we get confirmation that Lark can heal himself, just how still being a mystery. He quite possibly doesn’t know even that he can. “Hasera healing” him just in time is an act worthy of praise. One of my Pathfinders PCs got into too much trouble and I was most put out that the party healer decided to heal me just in time instead of right away, [especially since he didn’t have a good sense of time. We did complete the mission as a result, but Raise Dead is expensive.] But Lark treats such incompetent slowness as if it were normal. “Good, you got the spell off, barely in time and I almost died, but that’s hardly worth mentioning. Instead I praise you as if you had done perfectly instead of barely passing.” This makes sense if it had happened before, perhaps often. Maybe some of his prior guardians were killed before they could heal Lark and he didn’t notice. His own healing kicks in automatically when he is all but dead [is dead?] and he just assumes she got it off before she was killed. A longshot idea is that Hasera actually can heal him, but she doesn’t know how she does it. A serious problem for that idea is that she has been thru serious training by presumptive experts. That they would miss her strange way of healing seems distinctly unlikely. We will presumably find out more, perhaps soon, but I suspect we will first discuss why there were mailing problems. Lark is rather oddly egotistical here. He “has” to pose for this rabble? Like it was a duty? That’s like he has contempt and respect at the same time. We don’t know that Lark was at-all injured while inside the belly of the beast. I get the impression he wasn’t, because he thinks he was spell-protected from injury. On another topic, I’m waiting for Hasera to point out that she did some significant damage to the monster, and maybe Lark does not deserve all the credit for killing it. I tend to think this will override Hasera talking about not actually casting a protection spell. That’s what I was thinking – considering that he mentioned ‘protection’, not ‘healing’ or ‘regeneration’ or the like, it seems like he just doesn’t get hurt at all, and up to now he’s attributed that to his Guardian. As will be explained later, the ‘heroic pose’ thing is a skill taught to all Champions. It’s right up there with monster-slaying. One must know which pose to assume once the deed is done to gain even more glory (and potential future contracts). The more heroic the pose, the better chance of your story getting you even more rounds. It’s economics: 101 for Lark. Nice pose, it’s be better with an upgrade to the ragged trousers though fella.